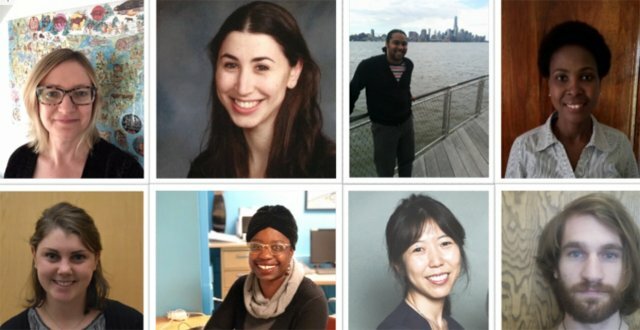 The Center for Research on Families (CRF) is pleased to announce the recipients of this year's Student Research Awards. CRF is committed to supporting students engaged in family research — our student researchers are addressing family challenges such as opioid use among parenting women, ADHD in early childhood, Flint water crisis and community nutrition. This highly-competitive awards program provides funding, methodology support and ongoing mentorship to graduate and undergraduate students in all disciplines of study and acknowledges outstanding student research on issues related to families. CRF received a high volume of applications for this year's competition. Eight talented students received awards in four categories for a total of over $24,000 awarded. Alice Fiddian-Green is a PhD Candidate in Community Health Education in the School of Public Health and Health Sciences. Under the mentorship of Dr. Aline Gubrium, her current research is focused on identifying critical turning points throughout the life course that influence opioid use and treatment trajectories among pregnant and parenting women. Her dissertation will examine macro-level (scientific), meso-level (public media), and micro-level (individual) narratives around opioid use, specifically assessing emotional and physical trauma, socioeconomic vulnerability, and experiences of marginalization/stigma as critical turning points that impact opioid use uptake, treatment, and relapse among pregnant and parenting women. Hallie Brown is a third year graduate student in the Early Behavior Lab, supervised by Dr. Lisa Harvey. Her research interests include the early development of ADHD symptoms and factors that influence ADHD in children, including family environment. Her master's thesis examined the psychometric properties of ADHD symptoms in toddlers. For the CRF fellowship year, her project will examine how factors such as inhibitory control and parenting put hyperactive 2-year-olds at-risk for ADHD. Aaron Foote is a doctoral candidate in the Department of Sociology at the University of Massachusetts Amherst. He is a native of Flint, Michigan, where his dissertation research, under the guidance of Dr. Dan Clawson, interrogates the social, political and health effects that a man-made water disaster has inflicted upon families in the city. Aaron’s research seeks to shed light on the origins of the crisis, rooted in the multigenerational inequality and colorblind racism situated in northern cities, and the lived experiences of the thousands of families in the city that are directly impacted by it. Aaron holds a BA in Social Relations and Policy from Michigan State University, and a MA in Sociology from the University of Massachusetts Amherst. Nozipho Maziya is a PhD candidate in the Nutrition Department, School of Public Health and Health Sciences, conducting her dissertation research under the guidance of Dr. Lindiwe Sibeko. Nozipho is investigating intrapersonal, social, and structural barriers to HIV medication adherence among HIV-infected women in rural Swaziland using qualitative data from focus group discussions and key informant interviews, and quantitative data gathered through in-person surveys. Rachel Haley is a junior honors student majoring in Global Health and Latin American Studies. She will be conducting her senior thesis with the Center for Research on Families. Her study will be based in the Dominican Republic and Holyoke, MA and is a comparative study of chronic disease among immigrant populations. The study will investigate health disparities that exist in Dominican Immigrants in the United States through mixed-methods qualitative interviewing and participatory action research. Rachel has previously conducted research in the Spencer Sleep Memory and Cognition Lab on campus and with various non-profits in Central and South America through the International Scholars Program. Adaeze Egwuatu is a fourth year doctoral candidate in the Neuroscience and Behavior Program. Adaeze is currently working on her dissertation project, which examines how differences in motivated attention to social and non-social rewards interact with children's temperament to influence children's behavioral outcomes. The travel award will help fund travel expenses for the 22nd Occasional Temperament Conference in Murcia City, Spain, where she will presenting her poster titled, "Motivated attention to social and non-social reward stimuli in children: Associations with temperament and problem behavior". Eunjung Jee is a doctoral student in the department of Economics, working under the mentorship of Dr. Lisa Saunders. Her research interests involve with parenthood wage gap in the labor market, exploring how a gap between mothers and childless women shapes gender wage inequality, and how changes in family policies affect these gaps. She co-authored a paper entitled “Motherhood penalties in the US between 1986 - 2014” with Dr. Joya Misra (Sociology & Public Policy) and Dr. Marta Murray-Close (US Census Bureau), which will be presented at the Population Association of America 2018 annual meeting in Denver, Colorado, with the assistance of CRF family research travel award. Patrick Sadil graduated with a BA in Biology from Reed College in 2014 and is currently a graduate student in Cognitive Psychology, advised by Rosie Cowell. His research focuses on the overlap between visual memory and perception. Projects have included adapting a neural network for modelling cognition, investigating associative learning and recollection for low-level visual information, and developing new ways to apply Bayesian inference to behavioral and neuroimaging data.